Jori gaat naar Noorwegen! : The AFS arrival camp! Day two, after an amazing night's rest I got to the breakfast table and found the grandest breakfast buffet I had ever seen. There where fruits, yoghurts (like, 6 different flavors), bread, spreads and a complete english breakfast! So, of course, I got eggs, fried beans, hash browns, bacon, ... I can't imagine a better way to start the day! 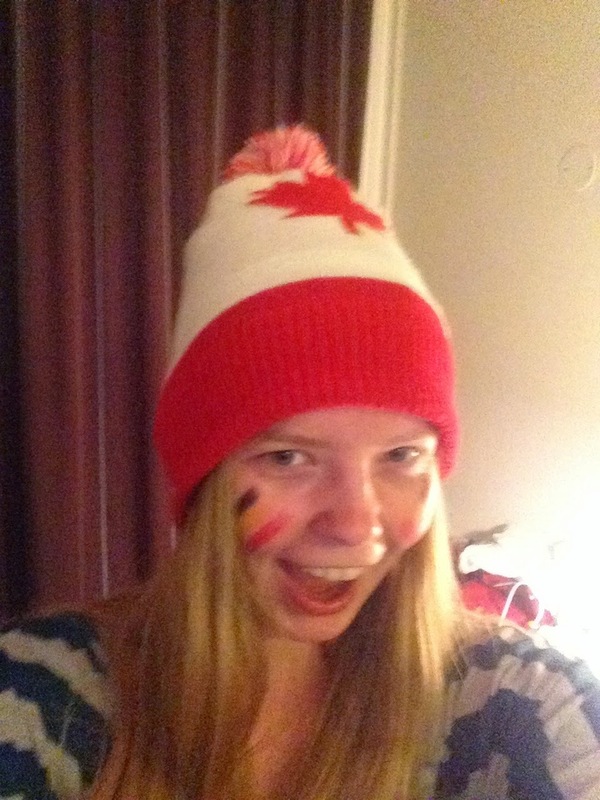 We got our Belgian flags from our rooms, together with the Belgian face paint I had from the championship this summer and a belgian bracelet I found somewhere before I left. We sat down at the back of the room. Being incredibly proud of our country, for one of the first times in my life. 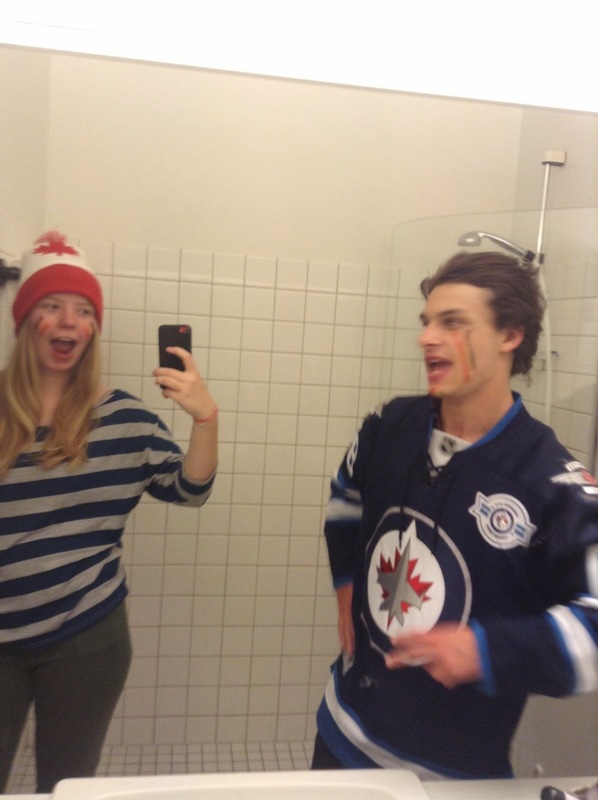 Having a national flag tied around your neck really does something to a person, I think. So after lots and lots of amazing performances, songs, dances and one guy randomly talking in Finish, we were already exhausted. The germans danced and sung a song Jolan and I knew in dutch, so we enthusiastically danced along. We got up on stage to learn to dance the salsa and do a traditional Japanese (?) 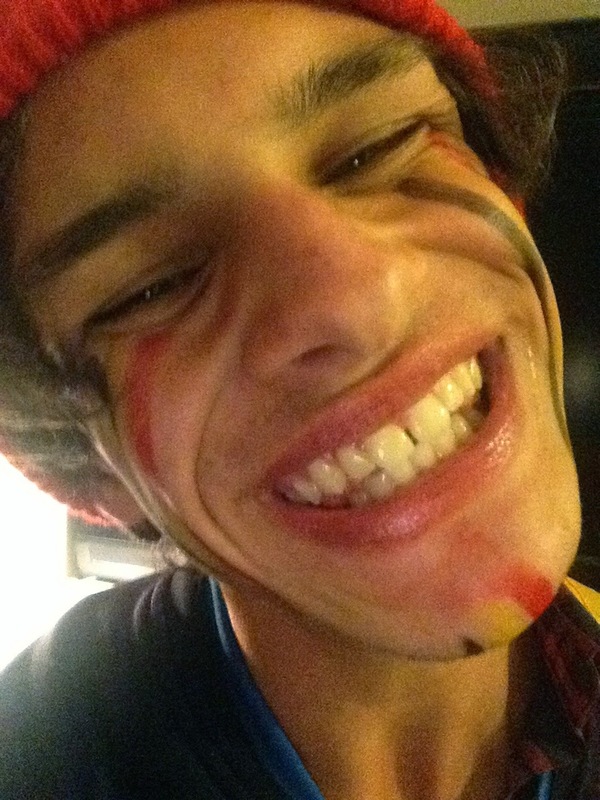 dance and basically had a lot of fun seeing all of those cultures put onto a stage. So finally it was our moment. We went up there. I was shaking, because everyone knows that I hate being in front of a crowd. Jolan started talking, mentioned that Belgium doesn't really have any talents (laughter, yes!) and started explaining what we were doing. Everyone had to come up stage, because yes, we were playing "Schipper mag ik overvaren?" (If you don't know the song, just click the link and enjoy the song and the amazing graphics). Basically, we had lots of fun, we learned all of the AFS'ers the song and were quite satisfied with our choice of talent. Oh yeah, and Ethan went up there and totally improvised an amazing imitation of some of the worst Canadian celebrities (Justin Bieber, Celine Dion and Rob Ford). It was pretty good. 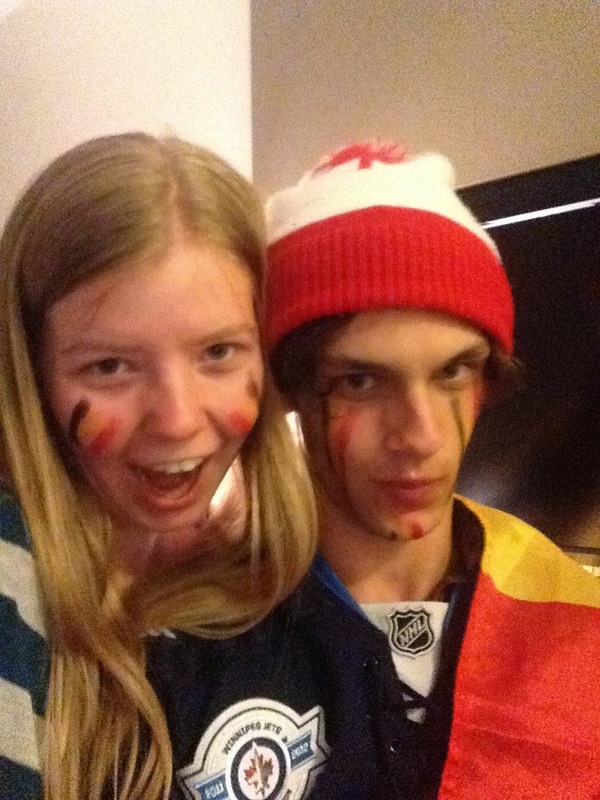 After this, I got the permission to paint his face in the Belgian colors and after the show we went to my room and took some Belgium-Canada selfies. For the rest of the night, we basically were laughing our asses off in our room. Jolan, Ethan, Marina (my Australian roommate) and me. It was a perfect ending to a perfect weekend. But then it was time to sleep, and my friends were going to be on the bus at 5.30 and 8.00 and I was NOT going to get up that early, sorry guys... So we said goodbye, found out that we would NOT see each other again at the end of the year (thanks a lot, AFS, let's make us friends and then make sure we'll never see each other again!) and went to bed. 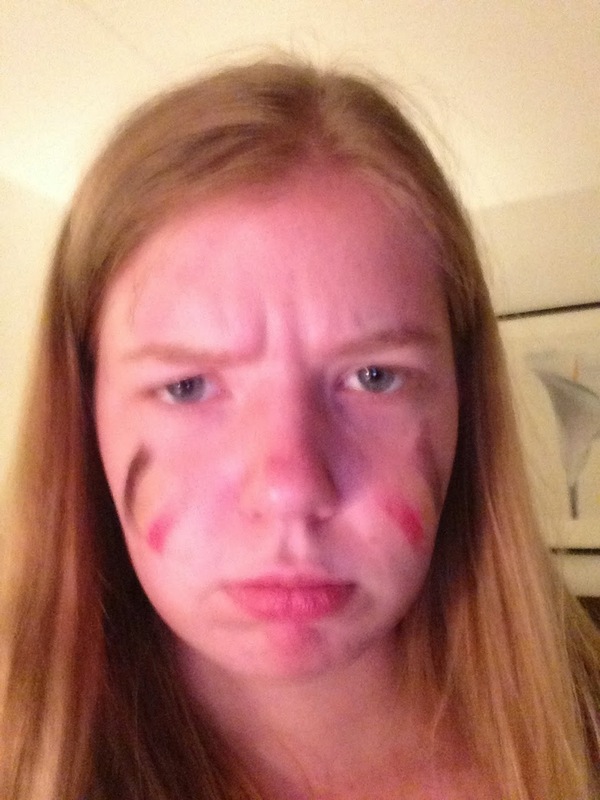 I took an angry selfie first, as a protest to not seeing the others again. I'm writing books again, aren't I? Oh well, if you're going to do something, you better do it right, right? Haha! Vi snakkes! Ha det bra!